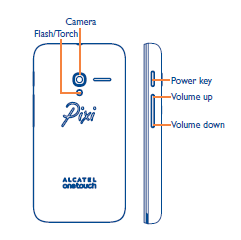 The Alcatel OneTouch PIXI 3 user manual is consisting of 22 pages. The manual support in english language. 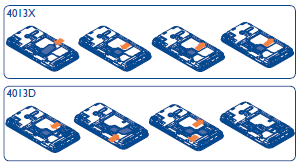 Many important information on the manual for example about troubleshooting guide. 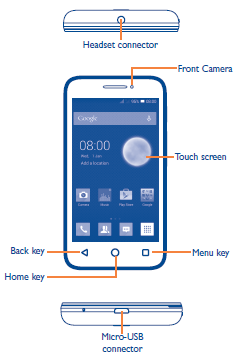 The manual provide detail reference information such as phone layout, key and connectors, tutorial Installing or removing the battery, using home screen, Using the touchscreen, Lock/Unlock your screen on page 11, Using Onscreen Keyboard, Placing a call, Speed dial settings, Importing, exporting and sharing contacts, Synchronizing contacts in multiple accounts, Connecting to the Internet on page 20, using wi-fi, browser for access the internet, using GPS satellites, etc. Then about Backup and reset\Back up my data, Factory data reset, using Smart Suite, Upgrade guide, FOTA Upgrade, safety, also troubleshooting on page 40.